On April 11, the semi-annual Eastern Partnership (EaP) Senior Officials Meeting (SOM) took place in Brussels. In attendance were official delegations of the European Commission, the European External Action Service, Member States and Partner Countries. 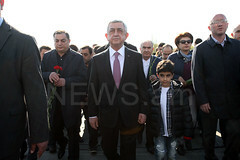 The Armenian delegation was headed by the Deputy Foreign Minister Avet Adonts. This SOM was held on the eve of the EaP 10th anniversary Ministerial Meeting and the High-level Conference to take place in May; thus, it was dedicated to discussing the preparations of these upcoming events, as well as to the “20 Deliverables for 2020” document’s state-of-play and the post-2020 development agenda. Concerning the EaP 10th anniversary, the Deputy Minister stated that the decennial anniversary is more about assessing what we have achieved so far, what are the challenges and prospects for development, rather than turning it into another platform of debating politically sensitive issues. Therefore, we are hopeful that the discussions during the Ministerial and the High-level Conference will not detract from the celebratory nature of these events. Mr. Adonts spoke about the achievements of the EaP among which is the signing of landmark agreements between the EU and its Eastern Partners. Specifically, he mentioned the CEPA and informed the meeting about the current stage of its implementation, ratification and finalizing the draft Road Map. He also underscored the importance of opening the Armenia-EU Visa Liberalization Dialogue, which we are actively fostering through effectively implementing the Visa Facilitation and Readmission Agreements, as well as engaging in separate discussions with the EU Member States. Mr. Adonts stated that the Armenian government is resolved to the steady implementation of the “20 Deliverables for 2020” document and the efficient delivery of its results and shared Armenia’s thoughts about the post-2020 agenda. 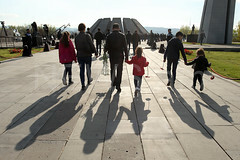 He reiterated Armenia’s readiness to actively engage in celebrations of the 10th anniversary of the EaP. On regional stability and security, Deputy Foreign Minister Adonts stated that on this delicate juncture of the peace process Armenia more than ever anticipates measured and balanced approaches of all those who endorse the restoration of peace and security in our region. He added that we strongly believe that the EU will continuously support the peace process under the auspices of the Minsk Group Co-Chairmanship and we highly appreciate this stance since it is beyond doubt that any deviation from this neutral, impartial position and wording, especially at current subtle and delicate phase in the settlement process, may pose a serious threat not just to the negotiations but the regional peace and stability.